In an article in this month’s edition of Governing, Scott Beyer posits that Miami has been able to control gentrification by allowing taller buildings. 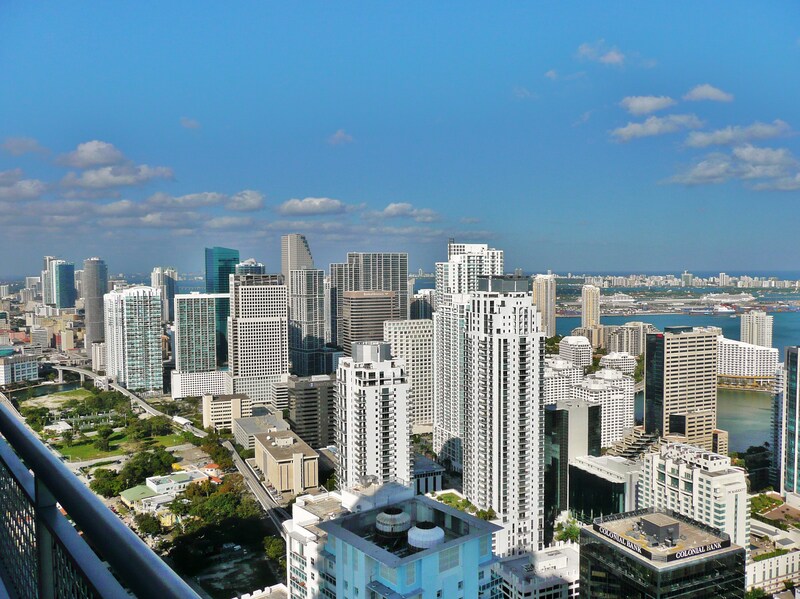 The Brickell district is home to many of the city’s newest skyscrapers and has seen its population more than double to 28,000 over the past 15 years. He argues that what’s most impressive is that while the district is home to a growing affluent population, the surrounding neighborhoods of Overtown and Little Havana have remained relatively unchanged; those neighborhoods remain about 95% non-anglo and have median household incomes that are roughly one-third of Brickell’s. The evidence is clear: allowing the construction of taller buildings accommodates newer, wealthier residents, while allowing residents in existing neighborhoods to remain in place, both physically and culturally. Economists, and people in general, have long held that decreasing zoning restrictions, particularly concerning the height of buildings, would open up cities to new housing possibilities and decrease the presence of gentrification; that is, allow wealthier people who now want to live in cities to do so without displacing existing, generally, poorer residents. It’s basic supply and demand at work. Strict height limitations, particularly in cities like Washington, DC and San Francisco severely limit housing supply, which causes higher prices and drives out poorer residents. This relationship is likely accurate, at least to some extent. The general problem with simply raising height limitations to “cure” gentrification, or going even further and reducing a number of other building restrictions, is that it ignores human emotion. As the podcast Freakonomics recently reported, economists have a major problem in how they theorize: they rely on the actions of “homo economicus.” This character takes little qualitative or emotional reasoning into account and behaves in a hyper-rational manner. This is a problem since almost no one is completely rational. We all routinely ignore the sensible option and choose the option that better fits our personality, mood, or emotion. As many of us know, purchasing a house or choosing a rental space is one of the most subjective things we do. Those people solely making investments may be a bit more objective, but for those people focused on building a life in a new home, emotions are a critical element of the decision. So if we completely eliminate our height restrictions in places like Midtown or Buckhead it doesn’t necessarily mean all wealthier residents will just go ahead and move into the new units directly created by taller buildings. Some will, and this will lessen the burden on single family homes; but many will want the single family home to raise a family or will simply prefer a more low-key neighborhood. While the reasons for creating and maintaining height restrictions may be obvious, any discussion surrounding such limitations and their effect on gentrification should probably include some consideration of those reasons. Generally height restrictions protect the character of a neighborhood, which can include both aesthetics and density. San Francisco and DC have height restrictions, at least to some extent, in order to maintain a certain feel and look. Here in Atlanta, areas of Midtown and Buckhead have no height restrictions per se, but heights are effectively limited by floor-to-area ratio standards and transitional height planes. Both of these restrictions are meant to allow taller buildings while also attempting to maintain the general character or feel of a neighborhood. The other major issue is density. Proper infrastructure must be in place to support taller buildings and the additional density they create. Roadways, transit, sidewalks, and plumbing all have to be able to accommodate a sudden increase in the number of people. This is a major limitation, particularly in older parts of cities. Height and other development restrictions ensure neighborhoods don’t put too much stress on the supporting infrastructure. Ultimately, planners are given the impossible task of maintaining desirability while also allowing access. Completely scrapping height restrictions or other development limitations to allow for more access risks the creation of bland, potentially suffocating hyper-utilitarian zones. Over regulation, though, presents similar problems. Either avenue potentially undermines desirability. If we are going to raise the height limits and ignore the boundaries set by infrastructure capacity then where should we build those tall buildings? Constructing taller buildings is expensive so developers and lenders need to make sure they can adequately lease or sell units in the building prior to the commencement of construction. This limits the construction of taller buildings in poorer areas with single-family homes as a developer may not have the time to wait for wealthier residents to gentrify the neighborhoods. And of course the point of all of this is to prevent gentrification, so changing the neighborhood by constructing taller buildings and inviting new residents is seemingly counterproductive. Taller buildings could be built in areas that already have tall buildings and wealthier residents. Midtown could eliminate the floor-to-area and transitional height plane limitations and just allow open construction. Taller buildings would create new units and theoretically lower prices. But even if developers can attract enough residents to make taller buildings economically feasible, they may not be able to attract the right residents. In the context of preventing gentrification, the taller buildings don’t matter if they aren’t attracting people who would otherwise buy a house in a poorer neighborhood. Clearly ground zero is the moderately-wealthy neighborhood that sports some combination of single family homes and small apartment and condo buildings. Are homeowners in this neighborhood going to allow increased density? Certainly not. After all, increased density could potentially ruin the character and feel of the neighborhood and reduce property values if too many units come online. But this is likely where we need more density. It doesn’t mean transforming Virginia Highlands into Midtown, but perhaps it means allowing for pockets of increased density along with traffic mitigation. The same can be said for other areas of Atlanta such as Candler Park and Kirkwood. Adding more MARTA stations in communities and away from highways, as was present in the failed T-SPLOST plan of 2012, and increasing density around MARTA rail stations, could go a long way in allowing more access to in-town neighborhoods while also mitigating traffic disruption. This brings us back to Miami’s Brickell neighborhood. There’s just too many variables to say that taller buildings are the reason why gentrification hasn’t occurred in neighboring communities. One would think that such gentrification will come relatively soon. Mr. Beyer points out this likelihood, though whether it will be ushered in by taller buildings in those neighborhoods or just rising property values is up in the air. The clear take-away is that simply axing height limits and other aesthetic development restrictions is not the answer; we crafted those policies for a reason and clearly they have some value. Easing restrictions in a thoughtful manner, though, could go a long way in allaying some of the negative aspects of gentrification.